After a long career in the music industry, managing recording artists and working at record companies, over the years I have worked with artistes Madness, Ian Dury, Sandie Shaw, Swing Out Sister and many more, but at the back end of 2016 I found myself looking for a change in work life. 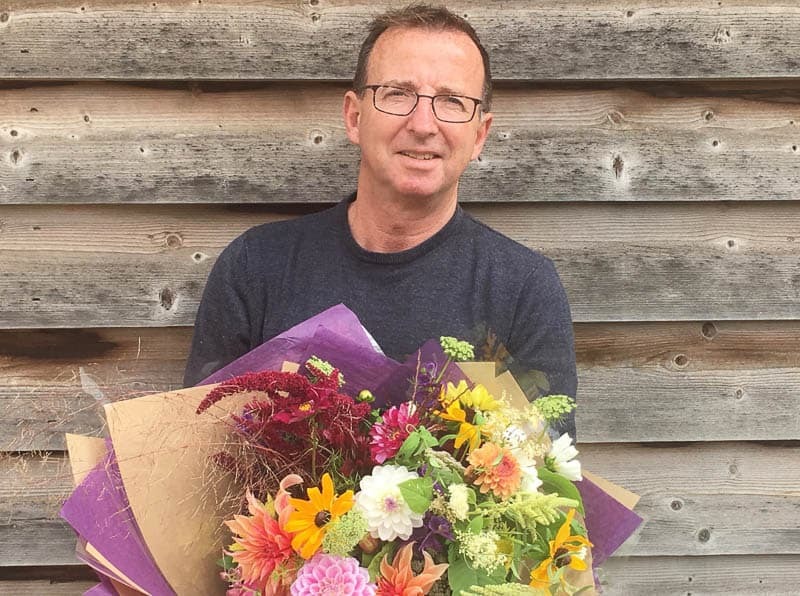 I have been passionate about flowers for many years, spending most of my Sunday mornings at the Columbia Road Flower Market in East London, going home with sumptuous flowers to adorn every room in my little Stoke Newington abode. When living in London, I attended two floristry courses, one with Jane Packer and the other with Paula Pryke. These were wonderful experiences. Back then I did my first wedding and arranged opening and closing night flowers for two “Mrs Robinson’s” in The Graduate in the West End and, although, I had been tempted to look at floristry as a business over the years, I never had the nerve to go for it. More recently, with encouragement from friends, I decided to take the plunge to start my own floristry business in 2017, Mr Spencer’s Flowers. I love the wild flowers found in the British Countryside, I like to create bespoke natural, vintage style country arrangements and bouquets, be it for a wedding, funeral, anniversary, birthday or just a gift to say thank you, get well or I love you. I aim to use seasonal, UK grown flowers, flowers from local suppliers where possible. I’m not keen on buying flowers that have travelled thousands of miles to get to the UK if I can avoid it. Also, where possible, my arrangements are made without using floral foam and my packaging is bio degradable, so I hope to be doing my little bit for this gorgeous planet we find ourselves on. Come join me on my journey….